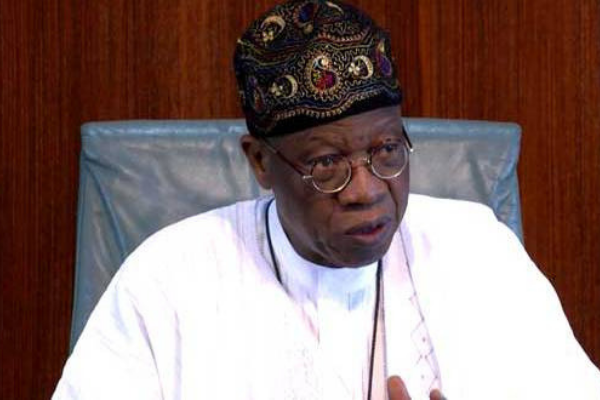 Nigeria’s minister of Information, Lai Mohammed on Monday accused the opposition of plans to use the West to push for a rejection of the general elections holding barely two weeks from now. His allegations followed earlier accusations by the APC government that the opposition was planning to scuttle the elections using widespread violence. He said the opposition is already dispatching delegations to the international community, especially in Washington DC, Brussels and so on, to get them to discredit the election results. The minister claimed his allegations were based on “credible intelligence”. He said the opposition now jittery of losing, are deploying all manner of desperate strategies to ensure that there was chaos which would then create room for an interim government. He is currently addressing the media on the issue in Abuja, accusing the opposition of resorting to widespread international blackmail instead of facing their campaigns. He couldn’t provide concrete evidence of those weighty allegations when asked but rather disagreed with some positions at the media brief that the government may have lost trust in the international community on the matter.